In response to a heated debate on our Facebook page over whether newlyweds should bring books on their honeymoon, we’ve asked two writers—one for honeymoon reading, one against it—to make their case. When you’re done getting convinced to leave your books at home, check out our argument for bringing them along. Like many of you, I’m a huge fan of books. There is truly a book for every occasion, but that doesn’t mean you must bring a book to every occasion. On many trips we’ve taken, my husband and I bring books to get lost in. But on your honeymoon, instead of reading, why not take the opportunity to get lost in each other’s company, instead? Later on in life you may find these chances few and far between. One of the best parts of a honeymoon is finding new inside jokes and stories only you and your partner will share. On ours, my husband and I found a rug with the name of our hometown on it. Now, considering we come from a town so small even our fellow SoCal residents can’t find, it’s something we still laugh about. Without our noses in books, we also used our time together to take classes (including ones in cartoon drawing and napkin folding), and to hit the all-you-can-eat soft serve machine more times than was reasonable. If you can’t take a trip without some kind of media, bring something you can share. 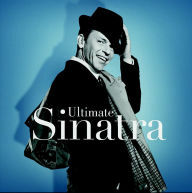 Bring along a new record, like Adele’s 25 or the Ultimate Sinatra collection. Sharing an old favorite album, or experiencing a new one together, is a great way to bond without a book. If your honeymoon involves a long drive, you can even invest in an audiobook of a romantic novel neither of you has read yet, like the first book in the Outlander series. Enjoying audiobooks together could even become a new tradition; a special “just you two” activity you look forward to. A joint listen, like a record or an audiobook, can inspire hours of conversation, speculation, and connection. Are you a couple that’s into shared activities? Toss a couple of adult coloring books into your carryon to make the plane ride more fun. 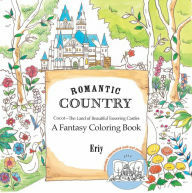 A book or a DVD can be isolating on a long trip, but spending time coloring together might help relieve stress from the wedding, and may even provide some unexpected laughs. Another fun idea is to pass the What I Love About You Little Gift Book back and forth over the course of your trip. You can get your reading fix in, while sharing how much you really do love each other’s quirky ways. The biggest perk of not bringing books with you on your honeymoon? You’ll have plenty of space to buy book souvenirs along the way! Toss a tote bag into your luggage and make it a game to get a new book from every place you visit. Perusing a phrase book or a local guide to the area together can be more fun (and interactive) than staring at your own books in silence. Let serendipity be your guide, not your preplanned reading list. With an open mind, and lighter luggage, you’ll be amazed at all of the ways you and your spouse can have fun on your honeymoon when you leave the books at home. Originally published at www.barnesandnoble.com on January 20, 2016.